April marks the lowest number of jobless claims and this means that those claiming new unemployment has never been this low. With the initial jobless claims decreasing by 9,000 against a proxy of layoffs in the US that was adjusted to 233,000 in the week. What this means is that claims have now gone below the 300,000 mark for 162 weeks in a row and this is the longest streak since 1967. Now the current streak has eclipsed the previous record of the longest stretch that ended in April 1970. However, this takes into consideration that the account of the labor force as compared to 1960s and the early 1970s as compared to today. In March alone, the 14 initial jobless claims were filed for 10,000 people in the workforce. This was compared with 23 claims filed for every 10,000 in 1969. This year there were twice as many people that joined the labor force as compared to the year 1969. With low consistent claim levels, this shows that the labor market is healthy because very few Americans are losing jobs and applying for benefits to help them during the period between the unemployment period and till they find a new job. Due to constant growth in the industry, a steady and consistent job market, there are firms that ensure that workers enjoy job security. Also, since so many firms have been entering new markets, there is need to employ more labor resources and where workers are employed in the hundreds. In terms of growth, there is enough data to prove that jobless claims have been volatile during holidays and when there are seasonal adjustments. This means that based on the different quarters, you would not be able to judge effectively if there have been several new positions created or if unemployment claims have increased due to layoffs. The four-week moving average of initial claims, a more-stable measure, increased last week to 230,000. More than 93% of manufacturers are positive about the outlook for the company’s prospects in the US economy. Wage growth has increased over the last 17 years and manufacturers expect a full-time employment to increase by 2.9% on average. 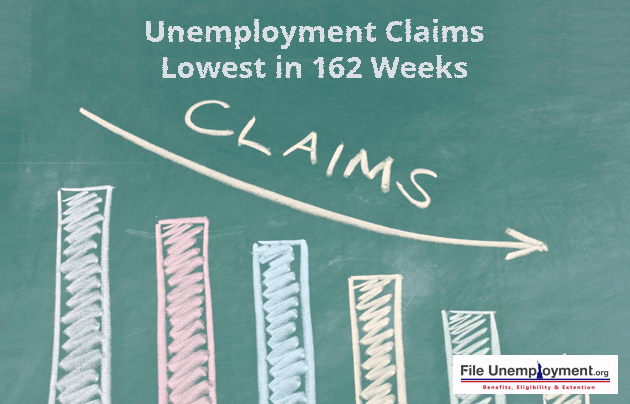 The recent report shows that the number of claims by workers was made for more than a week and this increased from 53,000 to 1,871,000 at the end of March. The health of the US labor market was defined by the low unemployment claims since 2000, the unemployment rate has remained at 4.1%. Also, there have been 90 straight months of the longest continuous job expansion on record.